How to buy Bitcoin in 5 Minutes! When Bitcoin (BTC) was born in 2009, only a handful of people had known about the cryptocurrency. However, the digital currency has become a popular asset for investors, traders, crypto enthusiasts, and anybody that’s interested in Bitcoin and its underlying technology, the blockchain. Bitcoin is currently the number one digital currency. And we mean that by both the market capitalization of the cryptocurrency and by being the first ever coin created. Powered by blockchain technology, Bitcoin features a decentralized ledger, which is immutable. That means if you upload something, no one can change, delete, or falsify it. Users from all over the world support Bitcoin’s network by mining the cryptocurrency. The coin has neither a central bank nor a central authority behind its back. When Bitcoin’s creator, the mysterious Satoshi Nakamoto, has created the coin, it was worth less than $0.10. In 2010, someone even spent 10,000 BTC to order to pizzas. As Bitcoin’s price surged up to even $20,000, that person would be a millionaire today. And many people have become millionaires for just investing in the coin. That’s why Bitcoin has become a hot asset among traders and investors. As more people have become interested in the cryptocurrency, an increasing number of brokers and exchanges started offering Bitcoin trading pairs. However, as you can buy Bitcoin from a vast amount of services, it is extremely hard to choose the best platform. You would ask this question to yourself: where to buy Bitcoin? But that’s why we are here: to guide you through your journey of buying your first Bitcoin. We have screened many services on the Bitcoin market and selected you the best of the best to buy BTC from. 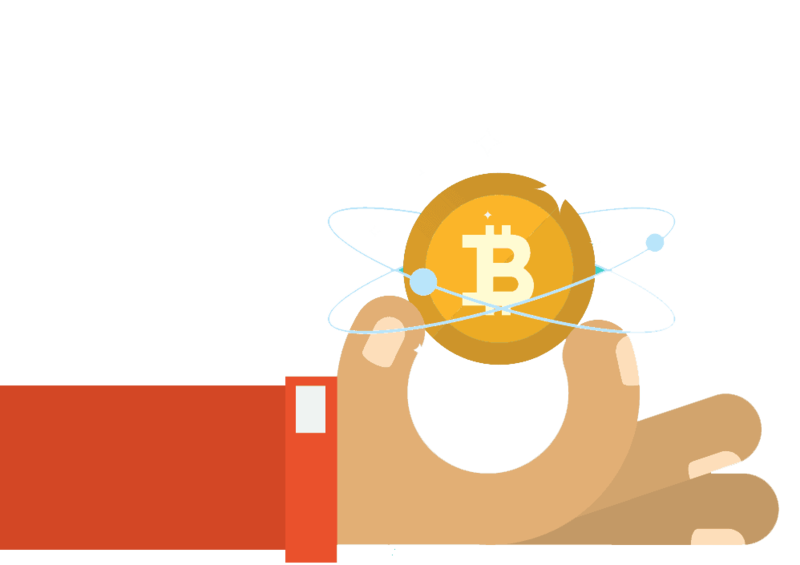 In addition to comparing the brokers, we will show you step-by-step how to purchase Bitcoin on each platform. As some of the cryptocurrency exchanges and brokers require you to hold coins in a wallet, it is essential to move your funds to a secure place (away from such services). So, you’ll have to create a Bitcoin wallet using a trusted service provider. 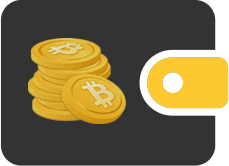 Now, let us show you to Bitcoin wallet solutions that will serve you well. The Bitcoin Foundation website has their own wallet you can download on their website. 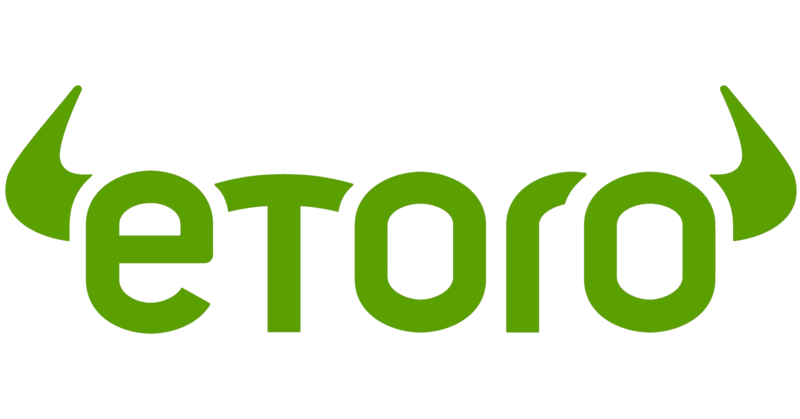 The second Bitcoin wallet we like to use and recommend is the eToro Wallet. While Blockchain.com’s solution is web-based, eToro has both possibilities of buying and trading cryptocurrencies like Bitcoin. You can even download and install on your smartphone (both Android and iOS is supported). Being on the market since 2007, eToro is an established broker that has become popular due to the platform’s innovative social functions as well as its newbie-friendly user experience and design. Regulated in Cyprus, Australia, and the UK, eToro offered Bitcoin trading via CFDs for a long time. However, that has changed in a year or so. 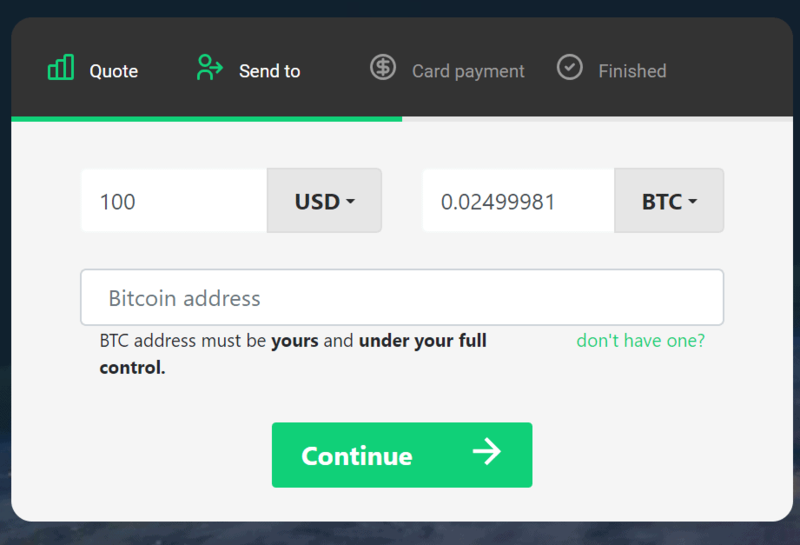 Now, you are able to purchase BTC outright on eToro, which means that you are the owner of the coins you are trading. eToro has been a “crypto-friendly” company for a long time, offering BTC trading services to its customers. Now, we’ll show you how to buy Bitcoin on eToro. We can guarantee that it won’t take you long as the account creation on the service is super fast. As with most brokers, registering to eToro is completely free. To do that, head to the service’s website and click “Sign Up.” Enter your name, email, your desired password, and username as well as your phone number and continue with creating your account. You can also use Google+ or Facebook to register faster. Be sure to use real credentials as you will have to verify them with documents in the next steps. As eToro is regulated in multiple countries, the broker has to comply with different laws. 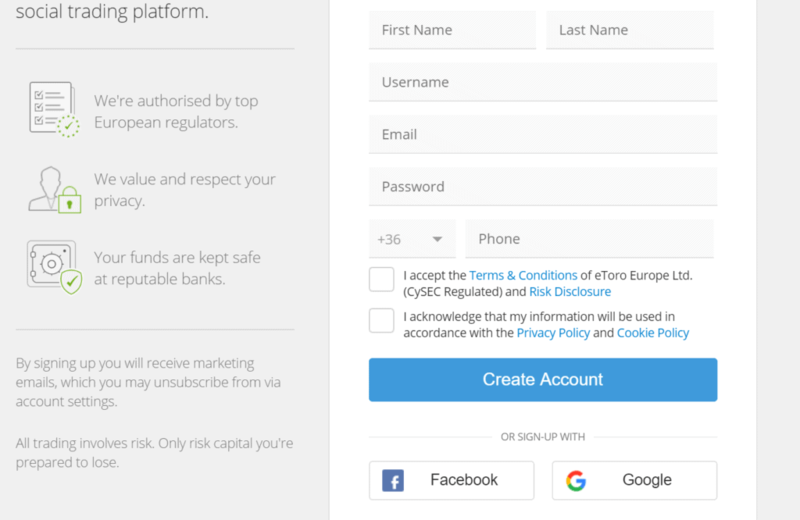 Therefore, after creating your account, you will have access to only limited trading without getting verified. To lift the limits, you have to verify your identity and residence. For identity verification, you can use your government ID or your passport. On the other hand, eToro accepts bank statements, credit card statements, and utility bills as proof of address documents. Upload the required documents and answer eToro’s questionnaire to proceed to the next step. After your account is fully verified, it’s time to deposit funds. eToro offers plenty of payment methods on its platform, including credit card, PayPal, wire transfer, UnionPay, Skrill, Neteller, and more. Select your preferred payment method, set how much you want to deposit, fill in the details, and click submit at the bottom of the page. Investing in Bitcoin can be risky, so please make sure you are cautious whilst trading because you may lose funds. A good way to limit these risks is to trade on reputable platforms. The China-established and now Malta-based Bitcoin exchange Binance has become one of the most popular crypto-to-crypto exchange platforms on the Bitcoin market. It’s a great choice if you have coins you want to convert to Bitcoin. Binance supports plenty of cryptocurrencies with four base currencies (Bitcoin, BNB, Ethereum, USD-pegged stablecoins). Signing up for an account on Binance is easy. We’ve left out the verification process from our step-by-step guide since the Bitcoin converter has high limits (maximum withdrawal of 10 BTC per day) that are sufficient for most traders and investors. 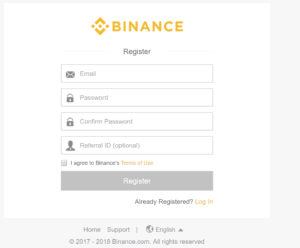 To register an account on Binance, you only need an email address. 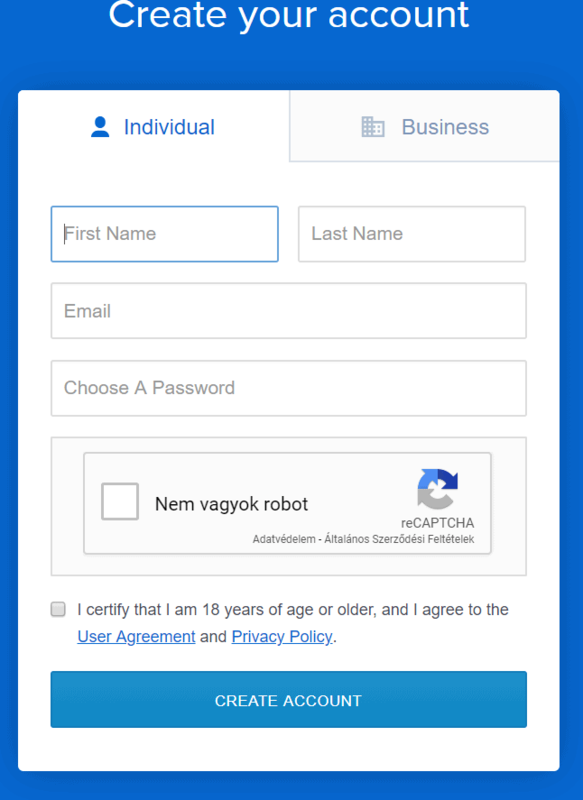 Fill in the form with your email, your desired password, and referral ID (if you have one) and proceed to create your account. For your first login, you have to check your inbox to verify your email. As you need a crypto wallet to trade Bitcoin on Binance, you have to take extra security measures to protect your funds. One of the best options is to set up 2FA. 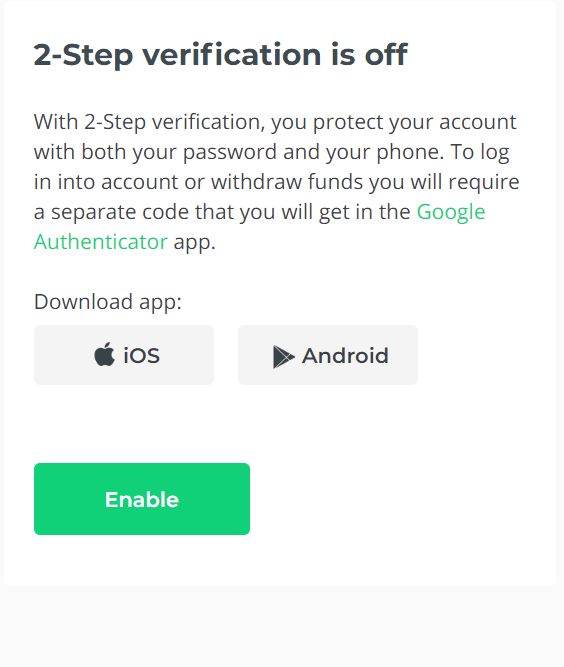 You can use either Google Authenticator or your phone number to set 2-factor authentication on your account. If you choose the first option, you should download Google Authenticator on your smartphone (it’s free on both Android and iOS). In case you use your phone number, Binance will send you a text message every time you want to login to your account. After you are ready with setting up 2FA, continue with depositing funds to your account. 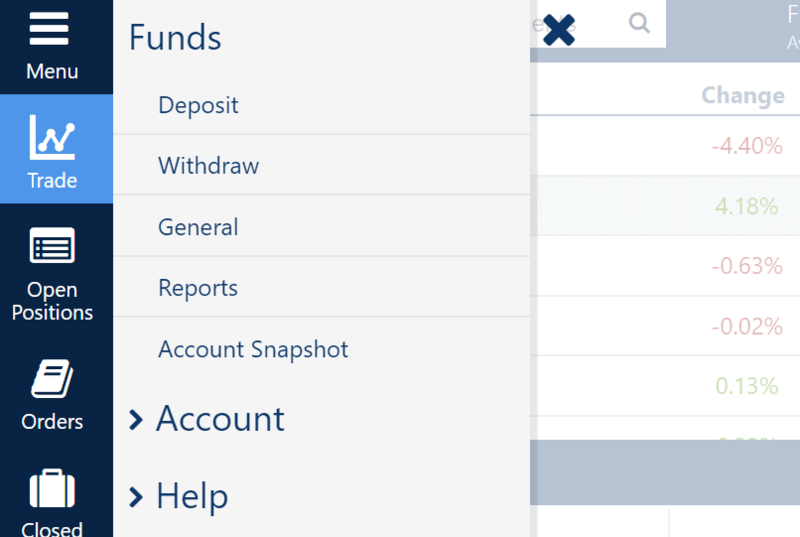 Check the top bar on the page and click “Deposits” under the “Funds” tab. Choose the cryptocurrency you want to deposit. 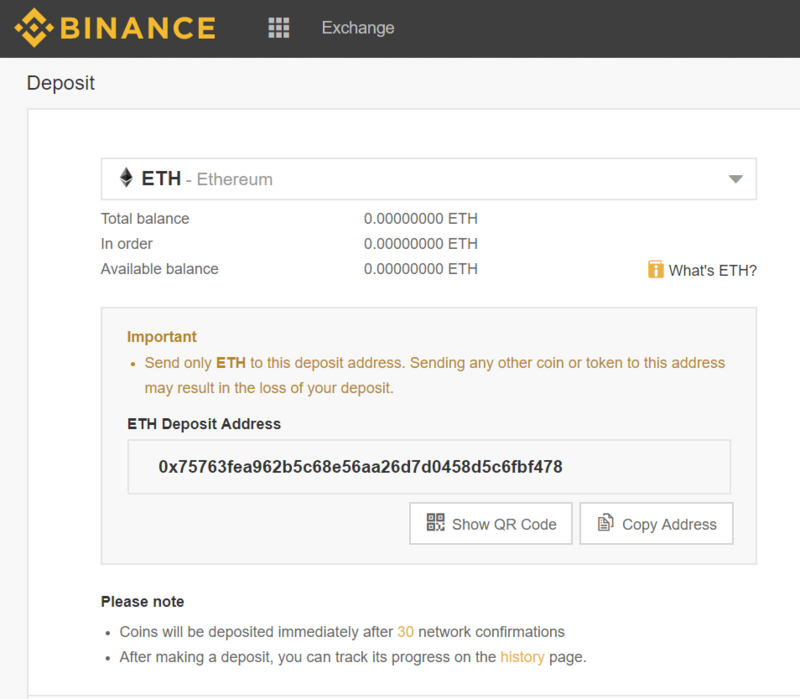 You’ll see an address on the page, which you need to use to send coins to your Binance account. You can also use the QR code if you have a mobile wallet. Be sure to double or triple-check whether the address you are sending coins too is correct. If you have funds on your account, you can now start trading. Select your trading pair from the list to buy Bitcoin. You’ll see a chart and options to buy BTC under that. You can choose between limit, market, and stop-limit orders. If you want to execute a short trade, choose the stop-limit order as it will automatically execute your trade if a certain Bitcoin price is reached. In case you seek to simply buy Bitcoin, choose between limit and market orders. The market order is the quickest option, but it won’t provide you with the best Bitcoin exchange rate. On the flip side, the limit order will allow you to give your Bitcoin rate, in which you want to execute the trade. When you are done, execute the trade. Coinbase is a cryptocurrency exchange based in San Francisco, the United States. While the service does not support just only a handful of coins (Bitcoin is included), the company makes the buying process as easy as possible. Being present in 32 countries, Coinbase has one of the lowest fees for credit card payments among all cryptocurrency exchanges (brokers are not included though). The easy-to-use and newbie-friendly platform of the exchange serves the customers with a flawless, user-friendly experience. Now, as your account is created, it’s time to verify it in order to raise your limits. You can do that by heading to “Account Levels” inside “Settings.” If you are on the aforementioned page, you’ll see your current limits and two levels. While the first level requires only a phone number and photo ID verification from you, you’ll have to provide additional personal information for the second level – that allows you unlimited trading on the cryptocurrency exchange’s platform. Now, let’s get your account to level one first. Provide your phone number, then verify it via typing in the code Coinbase sends you via text message. 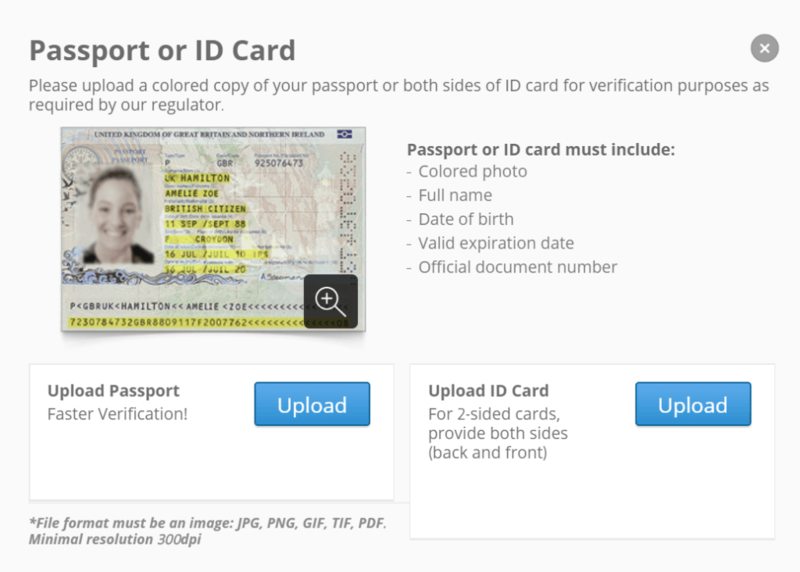 Then take a clear photo of a document that the exchange accepts for verifying your identity. When you are ready, complete the form by sending the document to the cryptocurrency exchange. Wait until they verify your document and proceed by either setting up 2FA or by completing level 2 verification (and proceeding to 2FA thereafter). 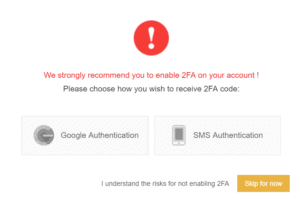 As a reminder; since you are using a cryptocurrency exchange to buy Bitcoin, you need to set up 2-factor authentication (2FA) to protect your funds from potential attackers and other malicious parties. To set up 2FA, head to the “Security” tab inside “Settings” where you’ll find a section with 2-factor authentication settings. Click “Enable Authenticator” and type in the code that you’ve just received from the cryptocurrency exchange via text message. You also have additional settings, which you can set to get a text message if a certain activity – like moving any amounts of digital currency or over 1.2 BTC – occurs on your account. We recommend you to choose the first option – to require a 2FA verification every time there’s digital currency movement on your account. Now, to buy Bitcoin on Coinbase, you need to head to the “Buy/Sell” tab. 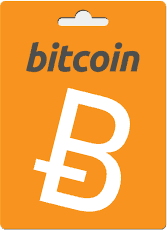 Choose Bitcoin from the list of cryptocurrencies and select your payment method. In this tutorial, we are guiding you through credit card payments. However, if you wish to buy BTC via bank transfer, you need to initiate a transaction from your bank account first to deposit funds into your Coinbase account. If you have not yet added your credit or debit card to your Coinbase account, you can do that by clicking “Add a new account,” selecting credit card, then filling out the form with your payment information. When you are ready, choose the amount of BTC you want to buy, then execute the trade. 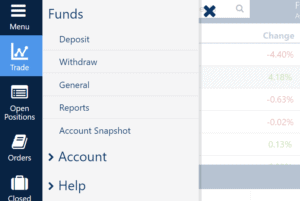 Plus500 is a CFD broker registered in Israel. The company’s platform is considered for traders and investors as it is authorized to operate in most countries all over the world, registered with top-tier regulators, such as the UK’s FCA. Moreover, Plus500 is listed on a stock exchange and discloses its financials transparently. Similarly to eToro, Plus500 is also offering Bitcoin CFDs without the need to hold your BTC on a cryptocurrency wallet. Let’s look into this with our step-by-step guide on how to buy BTC on Plus500. Before you can buy or sell anything on the platform, you have to verify both your identity and address. Upload the documents and don’t forget to verify your email address and phone number too. 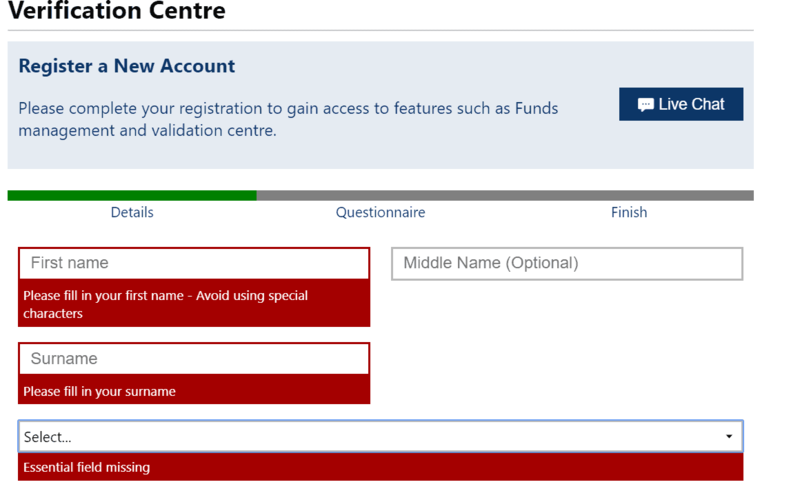 You also need to fill in a questionnaire (it is required by law for some brokers). The next step is to deposit funds to your account. 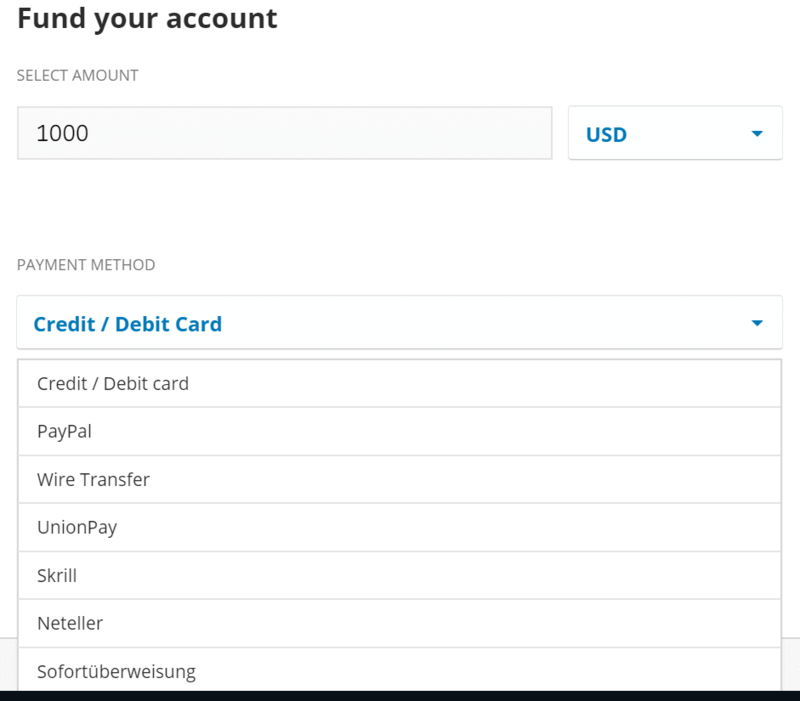 Plus500 accepts credit and debit cards, PayPal, Skrill, and bank transfers as payment methods. The good news is that the company does not charge any fee for account deposits. Use the menu and head to the deposit tab. Select how you want to pay and the amount, then proceed to the next step. It’s time to trade Bitcoin! Use the search bar on the top of the page to find the BTC to USD trading pair. 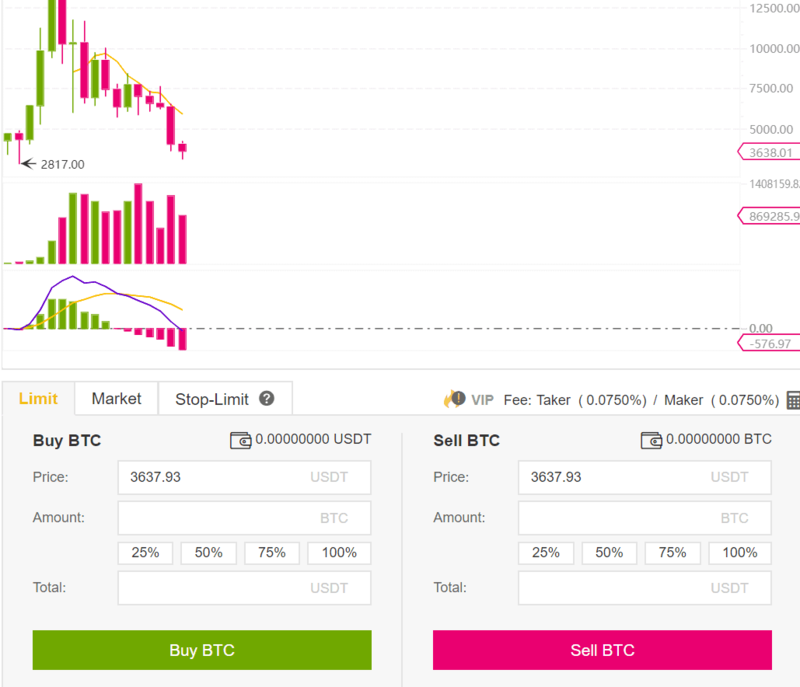 Select whether you want to buy or sell (buy in this case) as well as the amount of BTC you want to trade, and execute the trade. Changelly is a near-instant cryptocurrency exchange that features reasonable prices (compared to its competitors). The BTC exchange supports a huge amount of cryptocurrencies and features an easy-to-use platform with a nice, user-friendly design. If you are looking for one of the fastest ways to exchange crypto to another coin or buy Bitcoin with fiat, Changelly is a good choice. As Changelly accepts credit cards and bank transfers for Bitcoin purchases, we’ll go with buying BTC from this exchange. We’ll also leave out the verification part of this guide as it is not needed for trading a normal amount of funds. There’s no need for a deposit as the platform uses near-instant transactions. Let’s start with registering an account on Changelly. 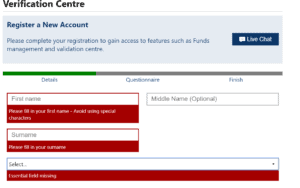 Just enter your email address and click the green button at the bottom of the form. 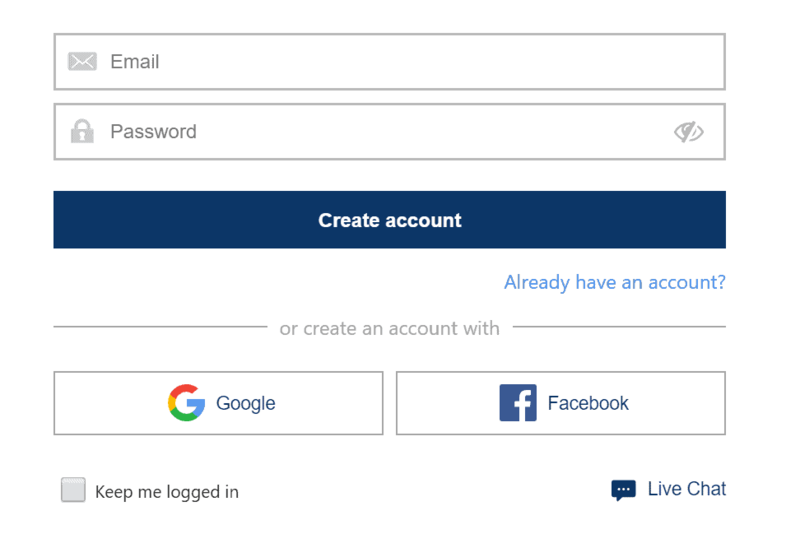 You can use Google+, Facebook, and Twitter for faster account creation. 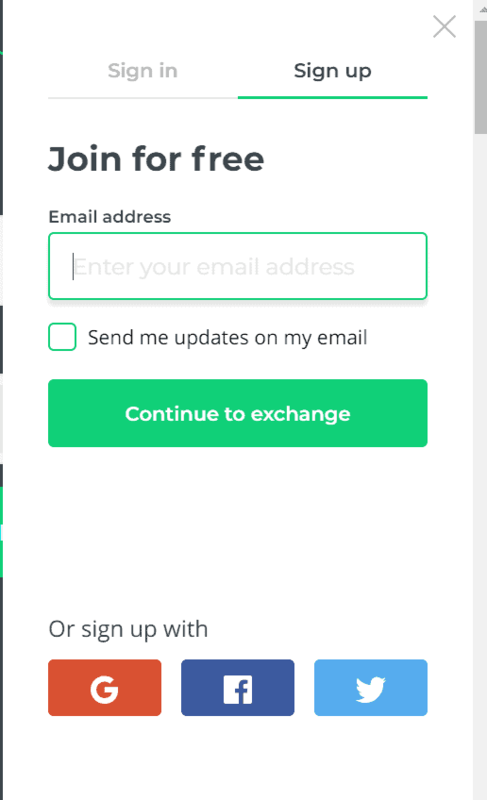 As Changelly only asks for your email (or social accounts), you need to verify that before you can start trading. Check your inbox for a message from the service provider and click the link inside to verify your email address. 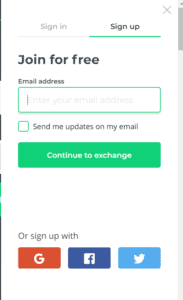 Upon verifying, Changelly will send you another email with your login credentials inside. Use that to login to your account. It is advised to change the password to one that you’ll remember (while being also secure). 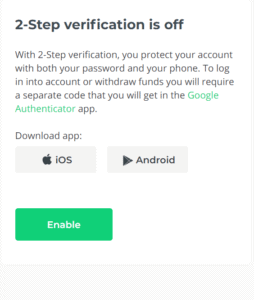 For your own security, it is important to set up 2FA at Changelly. Head to “Account,” then “Settings,” and proceed with setting up 2-factor authentication for your account via Google Authenticator. You’ll find the links for iOS and Android in the 2FA section within your Changelly account. 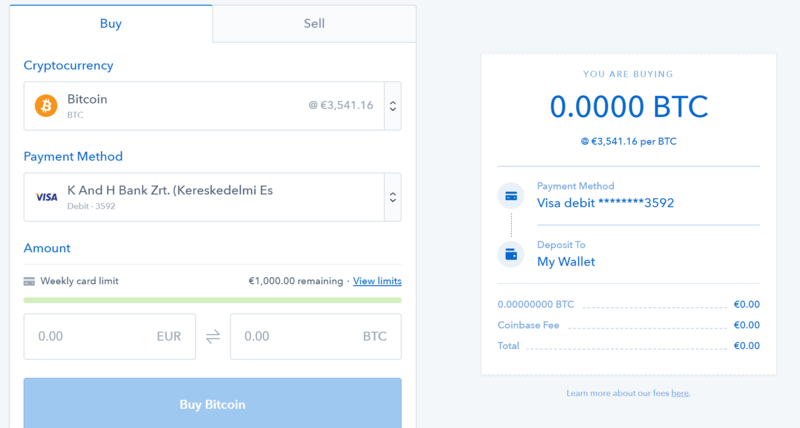 One the homepage, select the fiat currency (in this case we will use credit card payment) you want to use to buy BTC and the amount of Bitcoin you want to purchase. When you are done, copy and paste your Bitcoin wallet’s address. Be sure to double or triple-check whether the address you just pasted in the field is correct. On the next screen, you have to fill in the form with your credit card’s details. After you are done, the payment will be initiated. Your funds are expected to arrive between 10 and 30 minutes, according to Changelly. Europe is among the top two continents that love BTC. And in Europe, there’s the United Kingdom where the cryptocurrency is becoming increasingly popular. While there are plenty of global cryptocurrency exchanges and brokers where you can buy Bitcoin, it becomes the question which is the best for UK citizens. 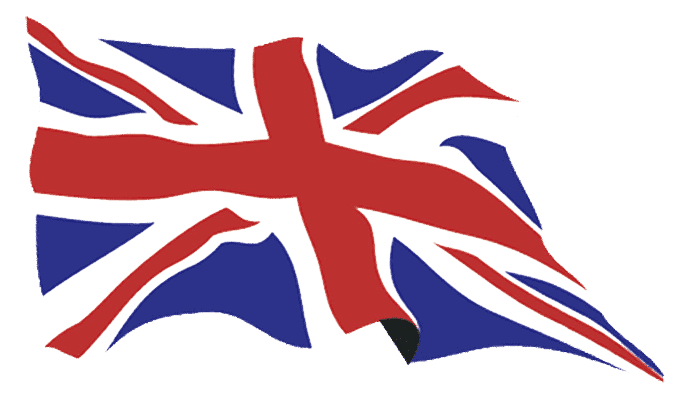 We have carefully tested and selected the best Bitcoin exchange for United Kingdom citizens. What do you think the result is? It’s eToro! The broker that offers outright Bitcoin trading, as well as an overall great service, is the best choice for UK citizens to buy BTC. Check out our step-by-step guide earlier in this guide to learn how you can buy Bitcoin using the broker’s services. While Bitcoin is trending in Europe, North America leads the way with the most BTC-related services in the area. From the release of Bitcoin in 2009, the citizens of both the USA and Canada have shown an increased interest in the cryptocurrency. But which digital currency exchange is the best in the two countries? Based on the factors of security, convenience, and user-friendliness, we have chosen to rank Coinbase as the top Bitcoin exchange for both Americans and Canadians. 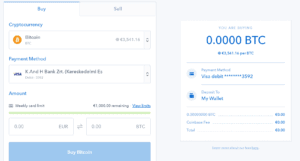 If you are living in any of the two aforementioned countries, feel free to read back to check out our step-by-step tutorial on how to buy BTC on Coinbase. 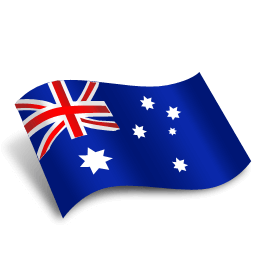 While Australia is not a “Bitcoin superpower,” the citizens of the Oceanic country have certainly shown interest in buying, holding, selling, and paying with the cryptocurrency. However, as most of the crypto exchanges and brokers are focused on European and North American users, it is hard to find the best service that you can use to buy Bitcoin in Australia. But let us help you with that! According to our findings, Binance is the best cryptocurrency exchange for Aussies to trade BTC at. Fortunately, we have a guide that will take you through creating an account right to buying Bitcoin at the service. 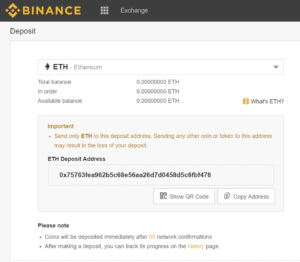 You can check it if you read back to the “How to buy Bitcoin on Binance” section. Please educate yourself on the risks of crypto trading and on what are the most reputable platforms you can trade on before you start investing. Most importantly though, always invest amounts that you are willing to lose. Automated trading solutions that use algorithm-fueled robots to trade currencies have become increasingly popular in the cryptocurrency space. The reason for that is the increased comfort as well as efficiency these solutions provide to traders. While you are “manually” trading Bitcoin, you need to develop different strategies and use technical indicators to deploy a thorough analysis of the coin. You do this to determine the best entry and exit points for your positions – therefore, to maximize your profits with short-term trades. Deploying your own technical analysis efficiently needs plenty of practice and a solid currency trading knowledge. Also – while you are closely monitoring the coin you are trading -, you sit in front of your computer all day. On the other hand, Bitcoin trading robots like Bitcoin Code or Bitcoin Revolution neither require these skills nor the time from you. Just set up your bots, and they will do all the trading for you. Automated trading solutions often come with higher risks. Although, the higher the risk, the higher the reward. You have to determine whether trading Bitcoin via Bitcoin robots is worth the higher risks for you. If you are interested, don’t forget to check out our page on Bitcoin robots. You own the Bitcoin, you have the right to move it, sell it, and transfer it as you wish. Traditionally associated with shorter-term positions or ideologies about Bitcoin because using margin accrues fees very quickly. While buying is a great thing, at certain times, you need to sell your Bitcoin. That can be due to a crashing market to minimize your losses. Or the opposite – you want to sell your coins for a profit after a huge price increase. We’ve listed the two best places for selling your Bitcoin. Let’s see! If you prefer a (semi) anonymous way to sell your Bitcoin, then you have to go local. Though you need an intermediary service that will connect you with buyers. 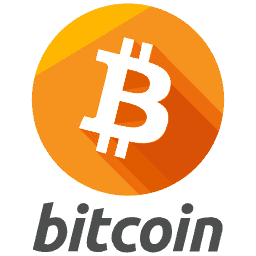 The best service of this kind for BTC is Localbitcoins, which is well-known and trusted by millions of users. Just create an account, find a buyer, meet up, and sell your BTC (in case you choose to trade online, you don’t even need to meet personally with the buyer). In case you prefer to exchange your Bitcoin to another coin instead of selling it for fiat, Binance is your place to go. The cryptocurrency exchange that supports a vast number of digital currencies – including stablecoins like USDT – has reasonable fees as well as a high account limit that should be enough to trade normal amount of BTC without verifying your account. We’ve detailed all the option to buy Bitcoin in this extensive guide. 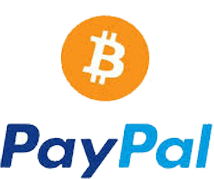 Now, it is up to you to decide which service and payment method to use to buy BTC. We recommend setting your goals prior to choosing a service in this guide. 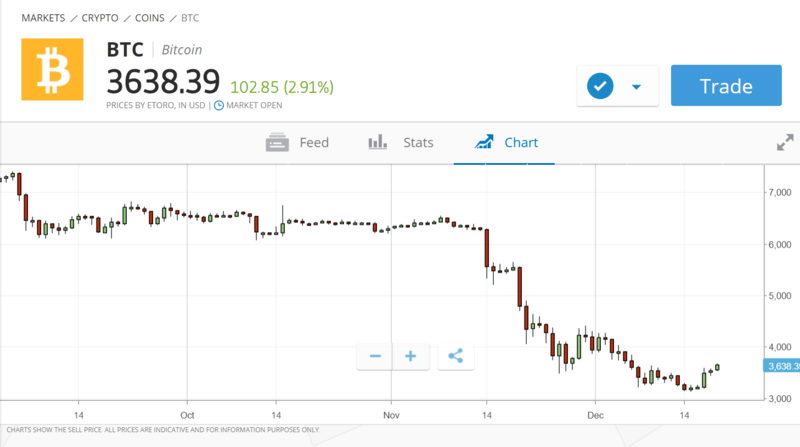 As we tested many services, we found eToro as the best platform to use for buying Bitcoin. On eToro, you don’t need to use a wallet to buy BTC, deposits are free (credit card and PayPal accepted), account creation is fast, and the platform has a user-friendly design. If you liked this guide, sign up for our newsletter for more Bitcoin and Cryptocurrency news! While Bitcoin is the first cryptocurrency – both by being the first coin ever created and market capitalization, Ethereum has the third largest market cap among all digital currencies. While both coins can be used to transfer value to another user, there are major differences between Bitcoin vs Ethereum. What are the key differences between Bitcoin, Bitcoin Gold, Bitcoin SV and Bitcoin Cash? The main difference between Bitcoin vs Bitcoin Cash is related to the Block size limits of the two coins, and the scaling methods. The reason behind the first split was related to the block size limit – a limit restricting the maximum size of transactions that can be processed by the network in a second. As the two communities did not manage to agree in one upgrade, BCH has split during the Bitcoin Cash hard fork in August 2017, creating a new blockchain and cryptocurrency. Initially, Bitcoin Cash’s block size limit was upgraded to 8 MB when the hard fork took place, which the developers further raised to 32 MB for the network to scale better. Bitcoin developers rejected the block size limit increase, so the BTC blockchain stayed at 1 MB. While the cryptocurrency’s network had scaling issues, the community decided to go with implementing a feature called Segregated Witness (SegWit), which decreases the size of the transactions and allows for implementing another, more efficient scaling method. This is the implementation of the Lightning Network that allows transactions to be confirmed off-chain. While off-chain transactions have risks related to a more centralized network, they allow the network to scale better with potentially faster and cheaper transactions. So, . While BCH developers raised the block size limit, the BTC community went with implementing SegWit and off-chain transactions via the Lightning Network. Which is the most secure Bitcoin wallet? In the short and mid terms, we are unable to serve you with a Bitcoin price prediction for 2019. And to be absolutely honest, no one can – including expert traders and all-star investors. However, what we know so far, Bitcoin and other digital currencies will stay with us for quite some time. As the adoption raises and more users are using BTC for payments and/or as investments for their funds, the price of the cryptocurrency will certainly increase. That’s all we can say about our Bitcoin price prediction for 2019. How can I buy Bitcoin anonymously? You can buy a small limit of cryptocurrencies from platforms like Binance and Changelly anonymously, or you have to use cash to purchase BTC. No, Bitcoin is certainly NOT a scam. We – along with millions of cryptocurrency enthusiasts and numerous traders and investors – can confirm that. These people use the coin in their everyday lives to either pay with it, invest, trade, or just simply hold BTC. This is a question you have to answer. But before that, you have to first determine multiple factors. Firstly and most importantly, your financial situation. Can you afford to invest in a relatively high-risk asset? Secondly, are you comfortable with investing in Bitcoin that could go up 10% in an hour and down by the same percentage in the other? If you have the money and you are willing to take risks in the hope of higher returns, then your next step should be to choose the best exchange where you can buy Bitcoin. 8 How to sell Bitcoin? Is it safe to buy bitcoin with credit card on coinbase ? Hello Parkin, yes, Coinbase is among the safest cryptocurrency platforms in the industry and it uses secure payment gateways for credit card payment. However, if you are feeling confused about Coinbase, you can try eToro which as secure as Coinbase and offers multiple payment methods. I am from India and want to buy a bitcoin, but I am not sure how to do it legally? I have heard how there are a few ways, but which one is the easiest? Can I buy it with a credit card? Hello Andrew, entities regulated by the RBI (Reserve Bank of India) are restricted from buying or selling cryptocurrencies completely. However, even after very strict regulations in India, you can buy cryptocurrencies as an individual. The best way for you to do so is by using eToro – a top-tier exchange platform and asset broker which is operating in over 60 countries including the United States, UK, Australia, France, Germany, and many more. 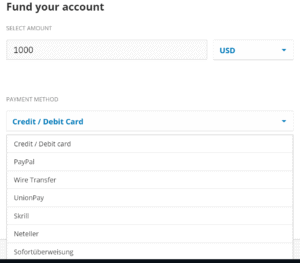 eToro offers multiple payment methods including bank transfers, credit cards, and PayPal. You can use this tutorial to get started on eToro. You can also trade stocks and other commodities on the exchange platform. I am really loving these blogs. Very well written. Where is the most secure way to buy bitcoin? Please can you provide more information about this as I will love to invest in bitcoin and I need to be certain of I should go on or just put a pause to it. Hello Jake, you can assess the security of any cryptocurrency broker, exchange, or wallet by doing background research on their operations. Exchanges that do not possess a license from the regulatory authorities in the country they are operating in should not be trusted at all. eToro is among the most trusted digital asset brokers and exchange platforms in the world. The company is licensed from multiple national and international regulators which makes the platform the best choice for you. Moreover, you can also trade other commodities like oil, gold, and stocks on eToro, making it a one-stop solution for all your trading needs. The platform has deployed the most secure authentication algorithms to make sure that no one gets access to your account and your funds are safe. The company also uses top-notch security software for its servers and wallets. 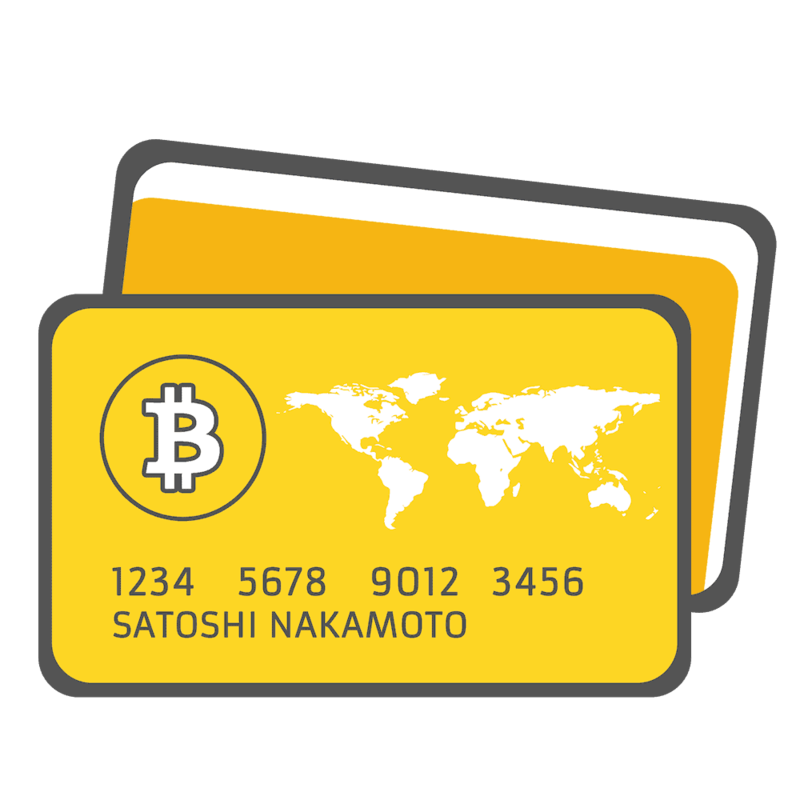 I have been using insidebitcoins.com for a while and happy with all round service, fees and ability to buy with cards. Where are top three places to buy bitcoin? I can’t decide. I’ve read through all the information they all look good. Hello William, our most recommended trading platform for you is eToro. This is because eToro is operating in over 60 countries and has secured countless licenses and certifications that prove the company’s authenticity and security. Another reason for eToro being our top pick is that the platform deals with commodities and stocks along with digital assets too. You can also look into Binance and Coinbase crypto exchanges as they also are extremely secure and authentic. Their only drawback is that these exchanges are limited to trading cryptocurrencies only.